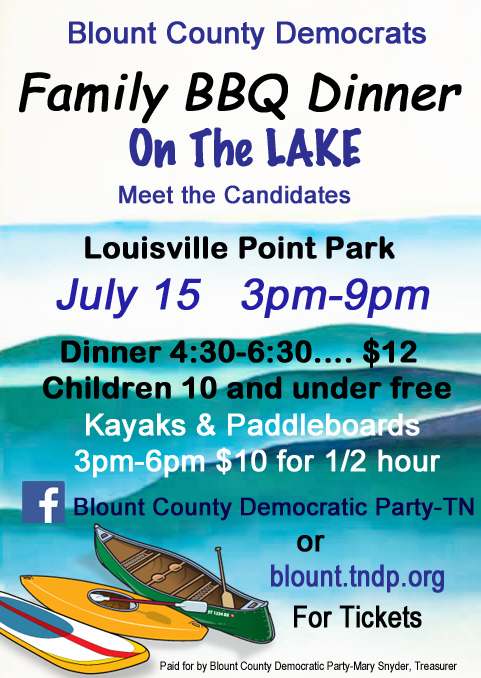 Don't miss the Family BBQ on the Lake July 15. Meet the Candidates. Meet fellow Democrats. Please purchase your tickets by Monday, July 9th. Share this with your friends so everyone will be more informed about who is on the Democrat ballot! If you requested an absentee ballot, you have probably received it by now. Early voting is July 13 - 28, which is HIGHLY recommended! Spread the word, and make your plan to vote in the County General and Democratic Primary during early voting (July 13 - 28) or on Election day, August 2.